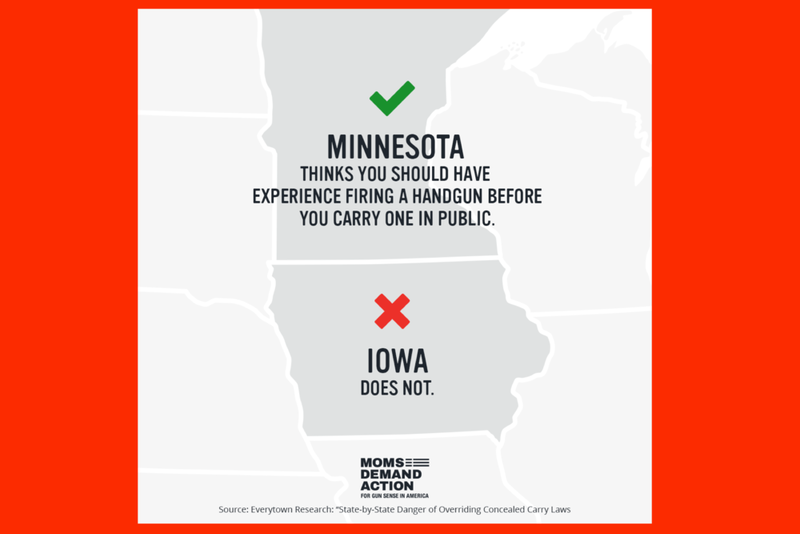 The NRA wants to force all 50 states to recognize the decisions other states make about who can carry a gun in public -- even rock-bottom standards that allow people who have never passed a background check or had any safety training whatsoever. And there's nothing we could do about it. So, for example, if a criminal or domestic violence abuser were refused a permit to carry here in Florida, he could simply go to Alabama, get a gun, and then legally carry it anywhere in Florida, including into the home of his abused victim. MOM's Demand Action will be hand-delivering printed postcards to Representatives Diaz Balart, Ros Lehtinen, and Curbelo in August. Please sign yours now so we have plenty of time to print the cards.